Don't you just love those plaids!!! 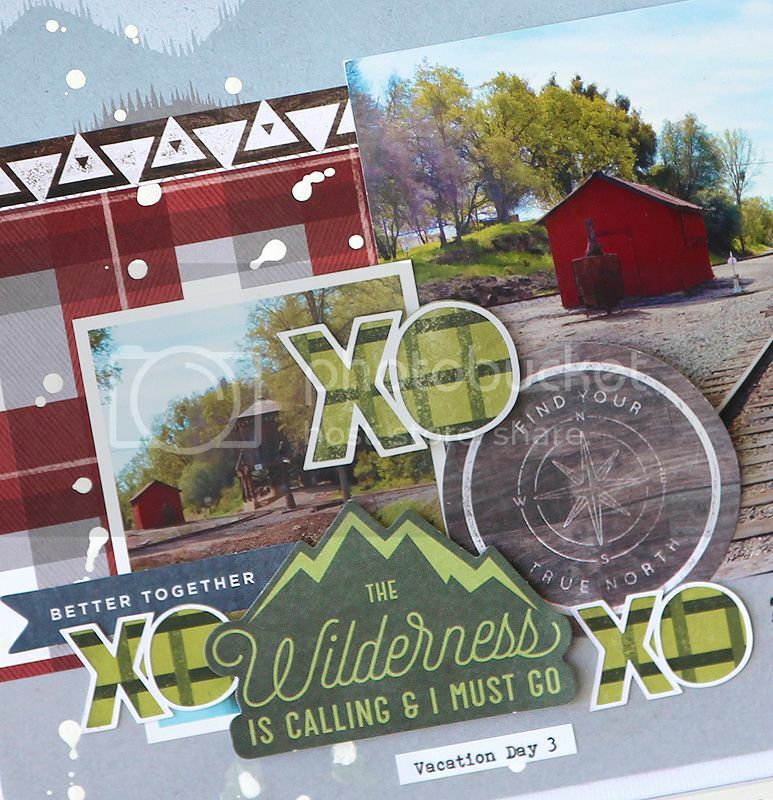 I cut the XO with my Silhouette, backed it with the pretty green plaid, then added a few die cut embellishments. 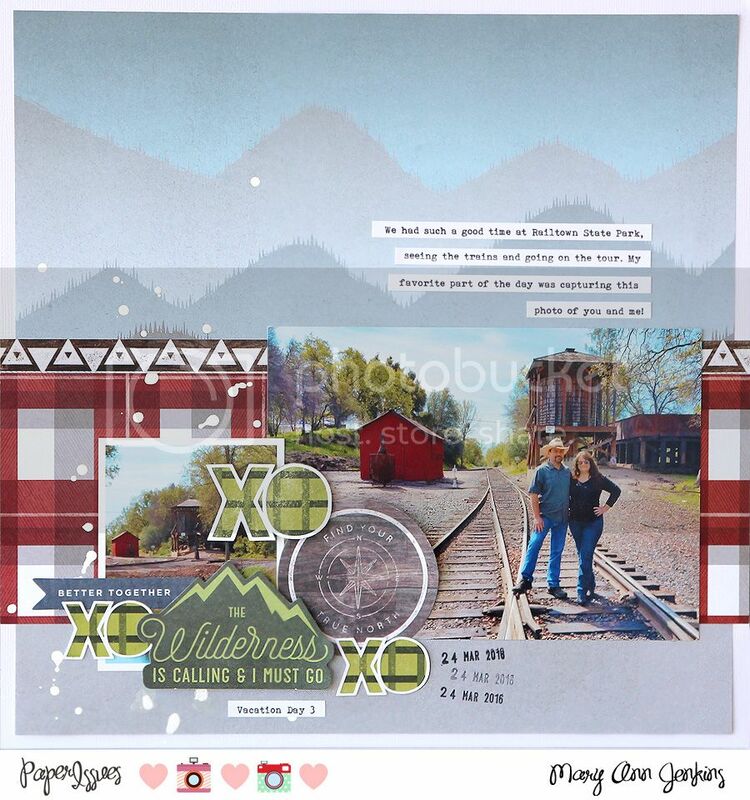 Another layout complete for the vacation album!